Need more color and originality for your Spring outfits ? 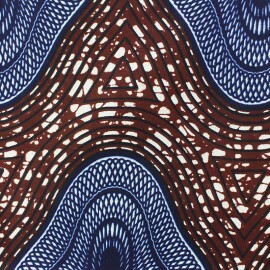 Dare, use and abuse of this Ajamu Wax printed fabric with large graphic and colorful patterns and make clothes and accessories for the whole family: dresses, bloomers, men's shirts, clutches, bow ties, bags ... The wax fabric offers you 1001 possibilities! Need more color and originality for your Spring outfits? Dare, use and abuse of this Fikri Wax printed fabric with large graphic and colorful patterns and make clothes and accessories for the whole family: dresses, bloomers, men's shirts, clutches, bow ties, bags ... 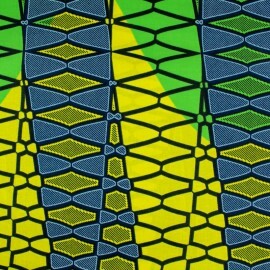 The wax fabric offers you 1001 possibilities! Need more color and originality for your Spring outfits ? Dare, use and abuse of this Bahjat Wax printed fabric with large graphic and colorful patterns and make clothes and accessories for the whole family: dresses, bloomers, men's shirts, clutches, bow ties, bags ... The wax fabric offers you 1001 possibilities! Need more color and originality for your Spring outfits ? 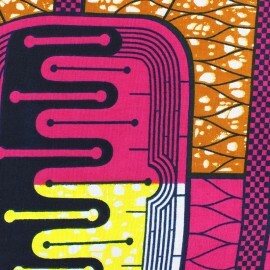 Dare, use and abuse of this Kissa Wax printed fabric with large graphic and colorful patterns and make clothes and accessories for the whole family: dresses, bloomers, men's shirts, clutches, bow ties, bags ... The wax fabric offers you 1001 possibilities! Need more color and originality for your Spring outfits ? Dare, use and abuse of this Abedin Wax printed fabric with large graphic and colorful patterns and make clothes and accessories for the whole family: dresses, bloomers, men's shirts, clutches, bow ties, bags ... The wax fabric offers you 1001 possibilities! Need more color and originality for your Spring outfits ? 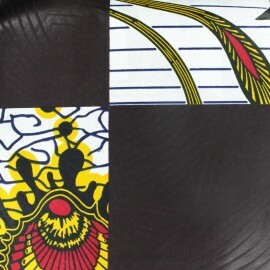 Dare, use and abuse of this Jamelia Wax printed fabric with large graphic and colorful patterns and make clothes and accessories for the whole family: dresses, bloomers, men's shirts, clutches, bow ties, bags ... 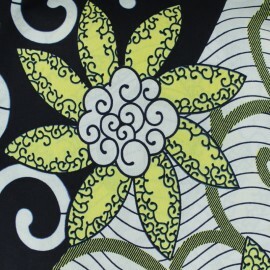 The wax fabric offers you 1001 possibilities! Need more color and originality for your Spring outfits ? 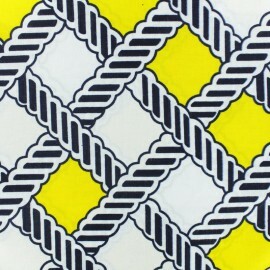 Dare, use and abuse of this Dawla Wax printed fabric with large graphic and colorful patterns and make clothes and accessories for the whole family: dresses, bloomers, men's shirts, clutches, bow ties, bags ... The wax fabric offers you 1001 possibilities! Need more color and originality for your Spring outfits? Dare, use and abuse of this Adana Wax printed fabric with large graphic and colorful patterns and make clothes and accessories for the whole family: dresses, bloomers, men's shirts, clutches, bow ties, bags ... 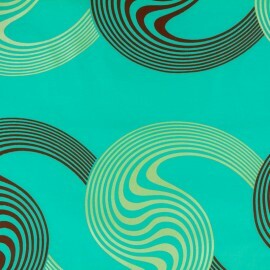 The wax fabric offers you 1001 possibilities! Need more color and originality for your Spring outfits ? 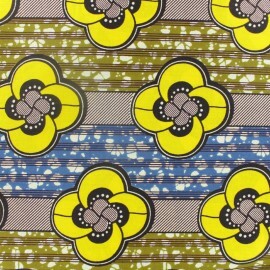 Dare, use and abuse of this Kitoko Wax printed fabric with large graphic and colorful patterns and make clothes and accessories for the whole family: dresses, bloomers, men's shirts, clutches, bow ties, bags ... 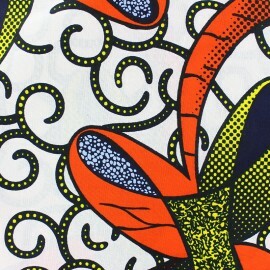 The wax fabric offers you 1001 possibilities! Need more color and originality for your Spring outfits ? Dare, use and abuse of this Mahayla Wax printed fabric with large graphic and colorful patterns and make clothes and accessories for the whole family: dresses, bloomers, men's shirts, clutches, bow ties, bags ... The wax fabric offers you 1001 possibilities! Need more color and originality for your Spring outfits ? 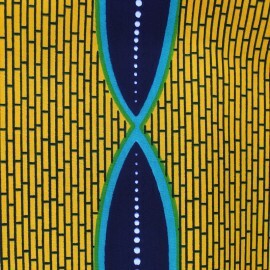 Dare, use and abuse of this Binti Wax printed fabric with large graphic and colorful patterns and make clothes and accessories for the whole family: dresses, bloomers, men's shirts, clutches, bow ties, bags ... The wax fabric offers you 1001 possibilities! Need more color and originality for your Spring outfits? Dare, use and abuse of this Anjum Wax printed fabric with large graphic and colorful patterns and make clothes and accessories for the whole family: dresses, bloomers, men's shirts, clutches, bow ties, bags ... The wax fabric offers you 1001 possibilities! Need more color and originality for your Spring outfits ? 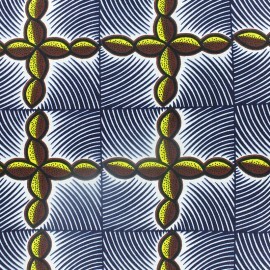 Dare, use and abuse of this Tisha Wax printed fabric with large graphic and colorful patterns and make clothes and accessories for the whole family: dresses, bloomers, men's shirts, clutches, bow ties, bags ... The wax fabric offers you 1001 possibilities! Need more color and originality for your Spring outfits ? 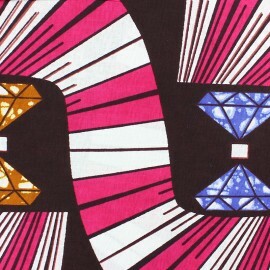 Dare, use and abuse of this Danesh Wax printed fabric with large graphic and colorful patterns and make clothes and accessories for the whole family: dresses, bloomers, men's shirts, clutches, bow ties, bags ... 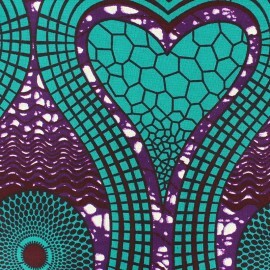 The wax fabric offers you 1001 possibilities! Need more color and originality for your Spring outfits ? Dare, use and abuse of this Jafari Wax printed fabric with large graphic and colorful patterns and make clothes and accessories for the whole family: dresses, bloomers, men's shirts, clutches, bow ties, bags ... The wax fabric offers you 1001 possibilities! Need more color and originality for your Spring outfits? 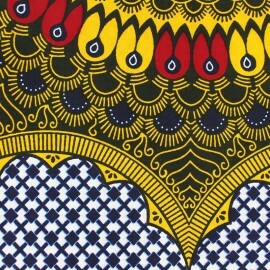 Dare, use and abuse of this Hinna Wax printed fabric with large graphic and colorful patterns and make clothes and accessories for the whole family: dresses, bloomers, men's shirts, clutches, bow ties, bags ... 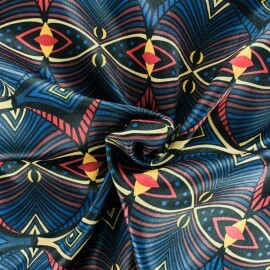 The wax fabric offers you 1001 possibilities! Need more color and originality for your Spring outfits? 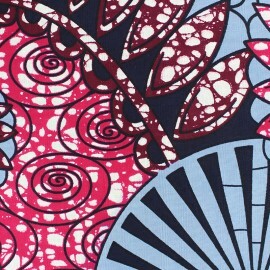 Dare, use and abuse of this Shade Wax printed fabric with large graphic and colorful patterns and make clothes and accessories for the whole family: dresses, bloomers, men's shirts, clutches, bow ties, bags ... 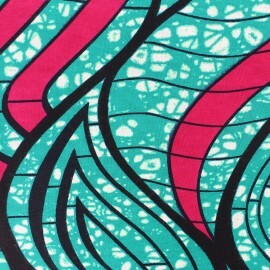 The wax fabric offers you 1001 possibilities! Need more color and originality for your Spring outfits? 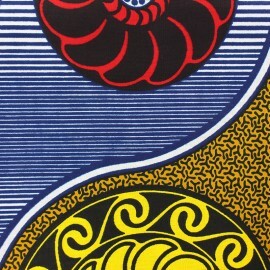 Dare, use and abuse of this Amali Wax printed fabric with large graphic and colorful patterns and make clothes and accessories for the whole family: dresses, bloomers, men's shirts, clutches, bow ties, bags ... The wax fabric offers you 1001 possibilities! Need more color and originality for your Spring outfits? Dare, use and abuse of this Bariah Wax printed fabric with large graphic and colorful patterns and make clothes and accessories for the whole family: dresses, bloomers, men's shirts, clutches, bow ties, bags ... The wax fabric offers you 1001 possibilities! Need more color and originality for your Spring outfits ? 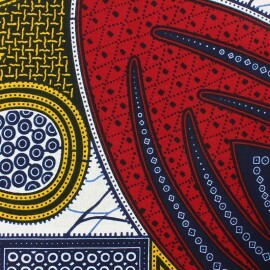 Dare, use and abuse of this Daanaa Wax printed fabric with large graphic and colorful patterns and make clothes and accessories for the whole family: dresses, bloomers, men's shirts, clutches, bow ties, bags ... The wax fabric offers you 1001 possibilities! Need more color and originality for your Spring outfits ? 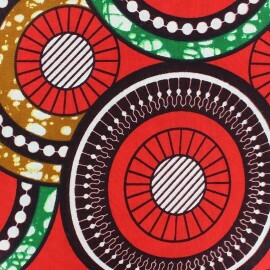 Dare, use and abuse of this Gamada Wax printed fabric with large graphic and colorful patterns and make clothes and accessories for the whole family: dresses, bloomers, men's shirts, clutches, bow ties, bags ... 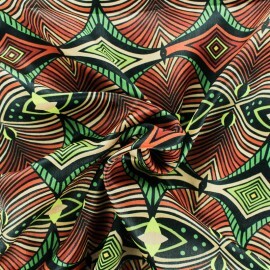 The wax fabric offers you 1001 possibilities! Need more color and originality for your Spring outfits ? 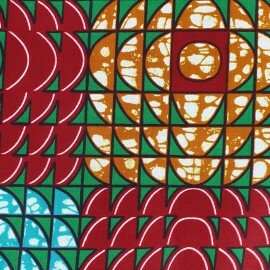 Dare, use and abuse of this Ashanti Wax printed fabric with large graphic and colorful patterns and make clothes and accessories for the whole family: dresses, bloomers, men's shirts, clutches, bow ties, bags ... The wax fabric offers you 1001 possibilities! Need more color and originality for your Spring outfits ? 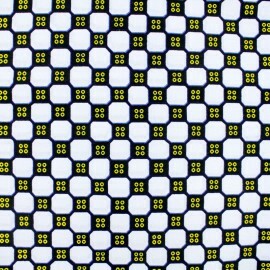 Dare, use and abuse of this Deka Wax printed fabric with large graphic and colorful patterns and make clothes and accessories for the whole family: dresses, bloomers, men's shirts, clutches, bow ties, bags ... 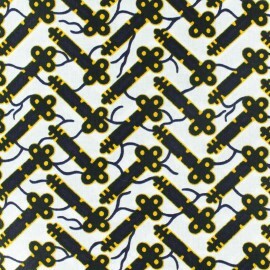 The wax fabric offers you 1001 possibilities! Need more color and originality for your Spring outfits ? 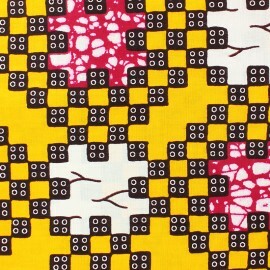 Dare, use and abuse of this Kimani Wax printed fabric with large graphic and colorful patterns and make clothes and accessories for the whole family: dresses, bloomers, men's shirts, clutches, bow ties, bags ... 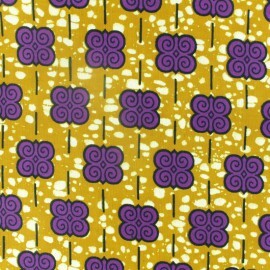 The wax fabric offers you 1001 possibilities! Need more color and originality for your Spring outfits ? 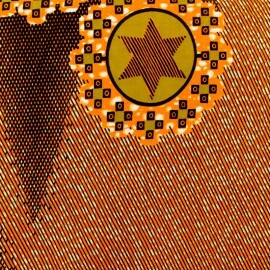 Dare, use and abuse of this Dounia Wax printed fabric with large graphic and colorful patterns and make clothes and accessories for the whole family: dresses, bloomers, men's shirts, clutches, bow ties, bags ... The wax fabric offers you 1001 possibilities! Need more color and originality for your Spring outfits ? 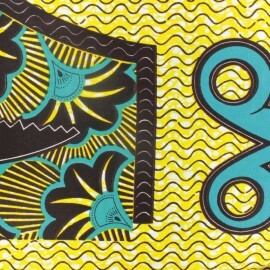 Dare, use and abuse of this Aissa Wax printed fabric with large graphic and colorful patterns and make clothes and accessories for the whole family: dresses, bloomers, men's shirts, clutches, bow ties, bags ... 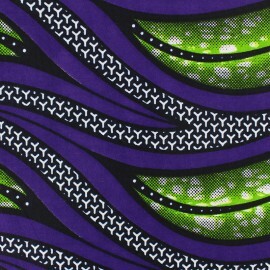 The wax fabric offers you 1001 possibilities! Need more color and originality for your Spring outfits ? 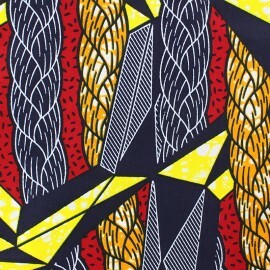 Dare, use and abuse of this Jamala Wax printed fabric with large graphic and colorful patterns and make clothes and accessories for the whole family: dresses, bloomers, men's shirts, clutches, bow ties, bags ... The wax fabric offers you 1001 possibilities! Stitch unique and colourful accessories for the upcoming season. 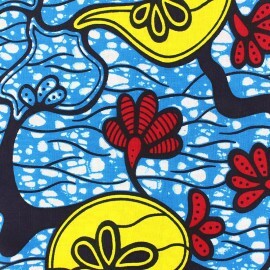 Fall in love with our bright and vivid wax print fabric Gwara Gwara bleu. Stitch unique and colourful accessories for the upcoming season. 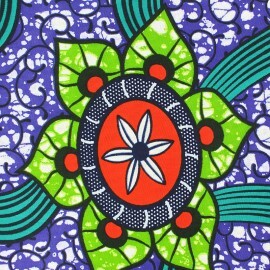 Fall in love with our bright and vivid wax print fabric Atilogwu. Stitch unique and colourful accessories for the upcoming season. 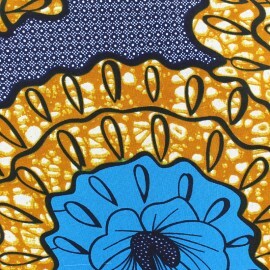 Fall in love with our bright and vivid wax print fabric Moribayasa. Stitch unique and colourful accessories for the upcoming season. 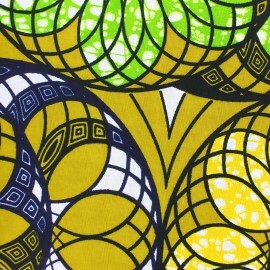 Fall in love with our bright and vivid wax print fabric Bobaraba. Stitch unique and colourful accessories for the upcoming season. 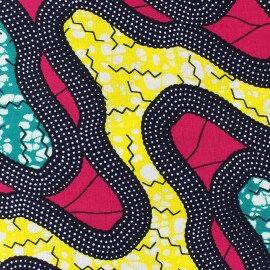 Fall in love with our bright and vivid wax print fabric Isikuti. Stitch unique and colourful accessories for the upcoming season. 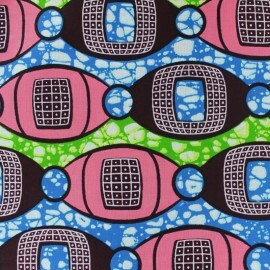 Fall in love with our bright and vivid wax print fabric Eskista. Stitch unique and colourful accessories for the upcoming season. 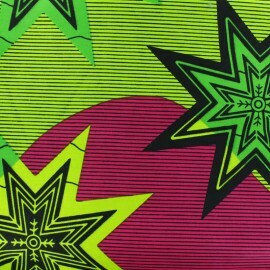 Fall in love with our bright and vivid wax print fabric Makossa. Stitch unique and colourful accessories for the upcoming season. 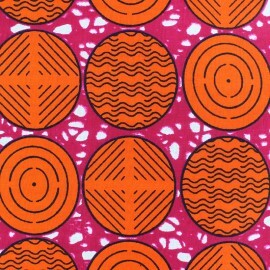 Fall in love with our bright and vivid wax print fabric Alanta. Stitch unique and colourful accessories for the upcoming season. 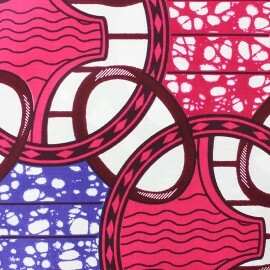 Fall in love with our bright and vivid wax print fabric Azonto. Stitch unique and colourful accessories for the upcoming season. 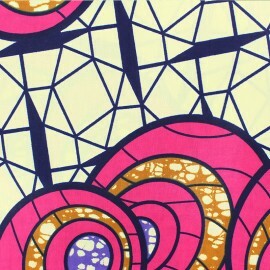 Fall in love with our bright and vivid wax print fabric Ewegh. Stitch unique and colourful accessories for the upcoming season. 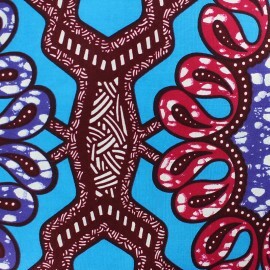 Fall in love with our bright and vivid wax print fabric Alingo. Stitch unique and colourful accessories for the upcoming season. 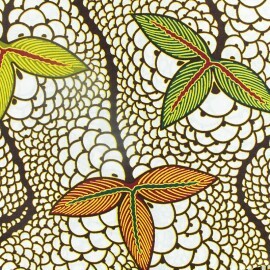 Fall in love with our bright and vivid wax print fabric Indlamu. Stitch unique and colourful accessories for the upcoming season. 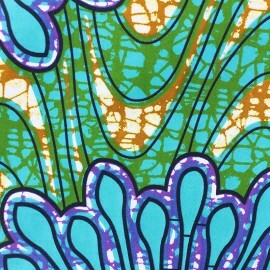 Fall in love with our bright and vivid wax print fabric Kilumi. Stitch unique and colourful accessories for the upcoming season. 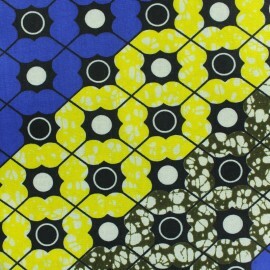 Fall in love with our bright and vivid wax print fabric Kirudi. Stitch unique and colourful accessories for the upcoming season. Fall in love with our bright and vivid wax print fabric Chilcotin v2. Stitch unique and colourful accessories for the upcoming season. 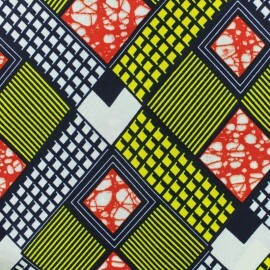 Fall in love with our bright and vivid wax print fabric Lokoya. Stitch unique and colourful accessories for the upcoming season. 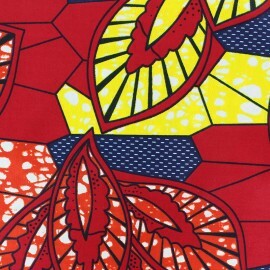 Fall in love with our bright and vivid wax print fabric Fipa. Stitch unique and colourful accessories for the upcoming season. 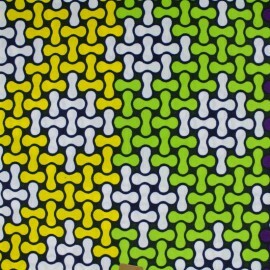 Fall in love with our bright and vivid wax print fabric Nubi. 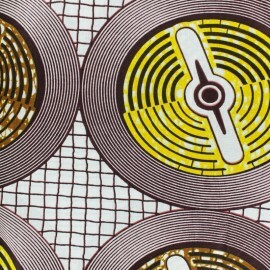 Discover a selection of cotton wax and african printed fabrics and make lovely and unique creations.